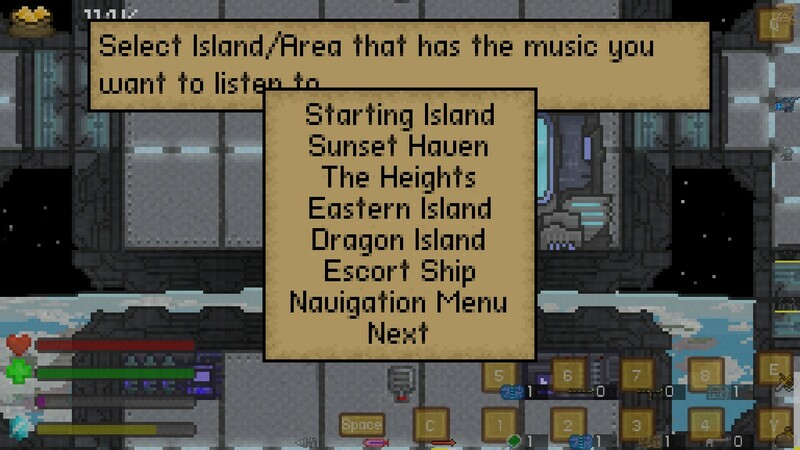 For those like me who really like the music in some games like Aground...This mod is for you. Special thanks to Rendib Savad for the awesome new tune added! Improves how the achievement looks. I’m aware of the fact that some tracks are missing...that is for reasons it would take way too long to explain...however...the underground music plays when you go underground while listening to the starting island or the sunset haven tunes...the same goes for the underwater music...just go underwater while listening to most tunes...the armor games exclusive I was unaware of, I’ll see if I can’t add it. Not too sure about the desert music...I’ll see if I can’t add that as well. The desert music is also missing. How do I use/get the music player? You craft it at the Advanced Lab.